Custom Blinds of Charlotte, Inc.
Trust our team to help you cover the windows in your home or business with style and grace. Contact us for weekly specials! 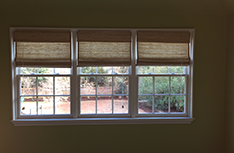 Custom Blinds of Charlotte, Inc. - Raise your expectations! 10% off when you mention our website! 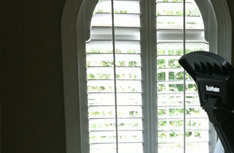 Offering blinds for every room in your home, we carry all the window coverings you need.. Available in hardwood and composite materials, smart window coverings featuring..
Soft and relaxing, flexible wood window coverings like bamboo and reeds allow the..
We are passionate about window coverings and dedicated to your complete satisfaction. We know that the right window coverings can make all the difference in how attractive a room is, and that’s why we offer the biggest selection. 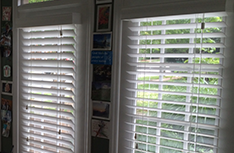 Welcome to Custom Blinds of Charlotte, Inc.
Offering a range of shutters, shades and other custom-fit window coverings, we are proud to carry items made from fabric, wood and even woven wood. Whether you want sheers that roll up, privacy shades that snap shut and block out all prying eyes or Roman shades that provide you with a mix of privacy and beautiful fabric, we have the right coverings for your needs. There is no job too large for us, so you can call on us when you need window coverings for your professional offices or retail space. We are also proud to work on smaller projects, so you can trust us to help you when you just want coverings for the sidelights on your new front door. Whatever your need is, you can count on our team to provide you with quality services and beautiful window coverings. Call us today at (704) 377-6800 to make your appointment and prepare to raise your expectations.